Aaron S. Klein, 63, of Trenton died Friday July 4 at this home in Trenton. He was born April 3 1940 in Summerfield to Vernon and Erma (Grafton) Klein. His father preceded him in death; his mother survives in Germantown. He was a truck driver for Bee Line Leasing Company, a member of St. John’s United Church of Christ Trenton and a member of Trenton VFW post 7983. He served in the U.S. Navy form 1959 until 1963. He married Kathryn Fehmel May 4 1963 in St. John’s United Church of Christ St. Jacob and she survives in Trenton. He is also survived by a son Mark (Corrie) Klein of Trenton, daughters Karla Von Bokel of Breese and Gina (Randy) Huelsmann of Highland. Funeral services will be held Tuesday July 8 2003 at 10 am at St. John’s United Church of Christ Trenton with Rev. 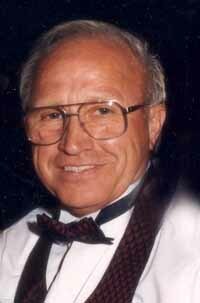 Tom Perl officiating, interment will follow in Trenton cemetery. Friends may call at the Moss Funeral Home in Trenton Monday from 4 to 9 PM and Tuesday from 8 to 9:45 am. Memorials can be made to the American Cancer Society/Clinton County Relay for Life and will be accepted at the funeral home. Trenton VFW services will be held Monday evening at 7:30 at the funeral home.